Traffic deaths across the United States increased 14% over the last two years. In 2016, nearly 6,000 pedestrians died – the highest number in more than two decades. Data science collaboration has the potential to reverse this trend – this Challenge aims to do just that. 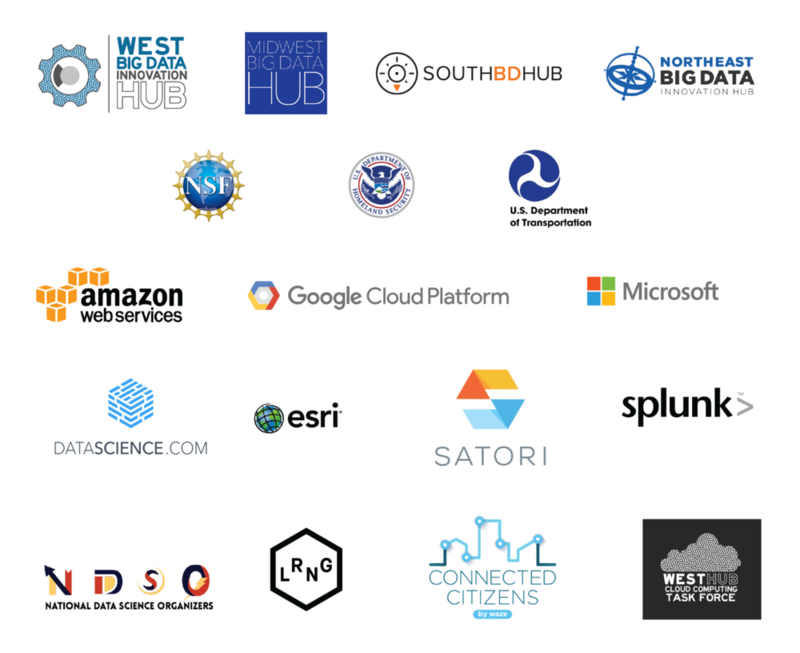 The National Transportation Data Challenge is a series of community problem-solving events, roundtables, hackathons, demonstrations, and tutorials/trainings to build and strengthen collaborative data science projects that advance transportation safety. Relevant upcoming events, both in-person and via open, online Challenge Community conference calls, will be shared on our EVENTS PAGE. Sign up for email updates (link below! ), and stay up to date on social media with #BDHubs. Join the Data Challenge Community Mailing List! A limited amount of travel funding for early career innovators is available. Would you like to be contacted for further information? Yes, I'd like to be contacted by my region's Big Data Innovation Hub about this! Any datasets, challenge statements, or resources/ideas to share with the organizers? We'll use this to follow up with information on event registration and agendas. Thanks for joining. Follow #BDHubs and check back here / watch your email for more updates! Sign up for email updates about upcoming activities (in-person and online), new datasets released, and ways to connect with other participants. Share these with your network! Register as a Competitor for access to Challenge Resources: compete for awards/prizes. We'll be adding more Frequently Asked Questions / answers and details soon!